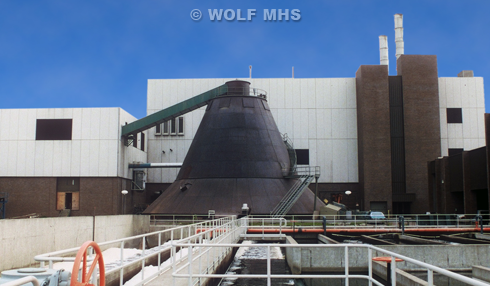 Wolf Material Handling Systems has provided some of the largest municipal solid waste processing systems. Wolf takes complete design and supply responsibility of the processing system, from truck receiving, storage and reclaim, classification, separation, sizing, truck-load out , and in some cases boiler feed. Wolf offers a Performance Guarantee on each system design.